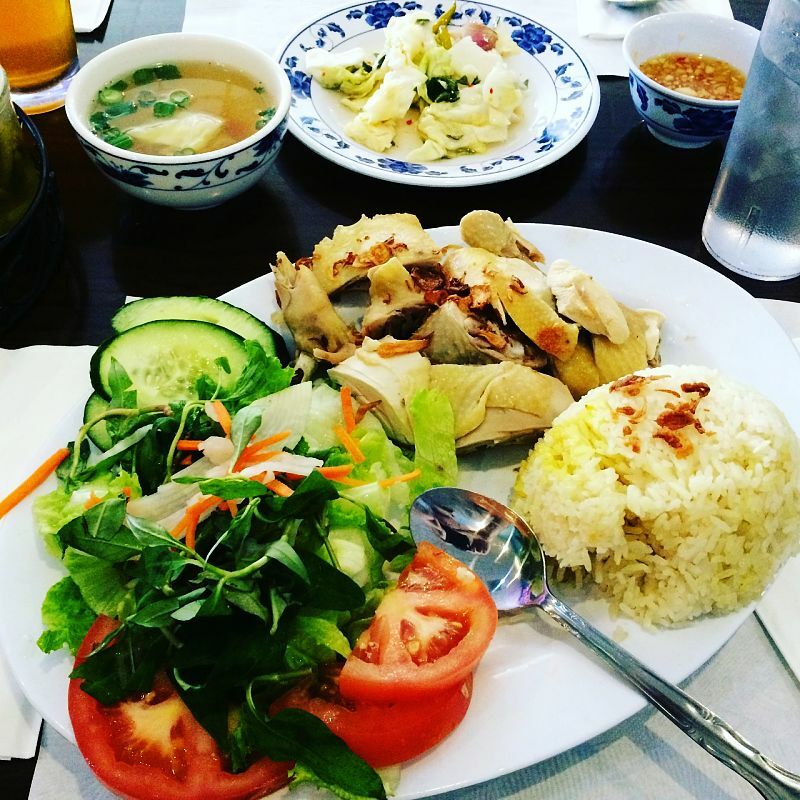 Vietnamese cuisine, either home-cooked or served at a restaurant, is generally light, fresh, and healthy with lots herbs, fresh ingredients and vegetables. But like many foods you can easily be deceived into a calorie trap if you don't know the ingredients that are high in fat and calorie dense, so it pays to do your homework. 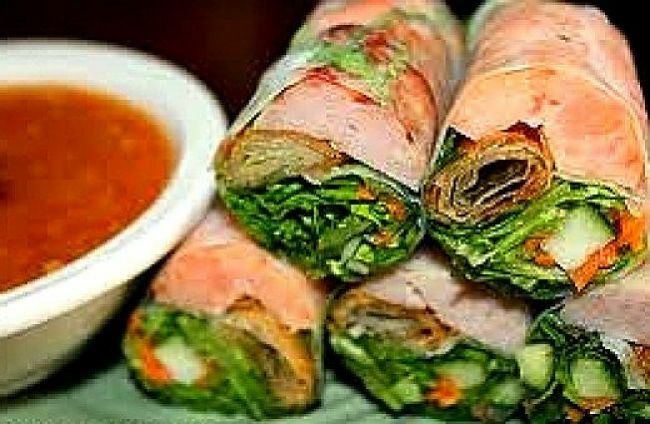 In this article I provide lists of foods to choose and those to avoid and a detailed calorie chart for popular Vietnamese meals. Very small amounts of oil is used in Vietnamese cooking. 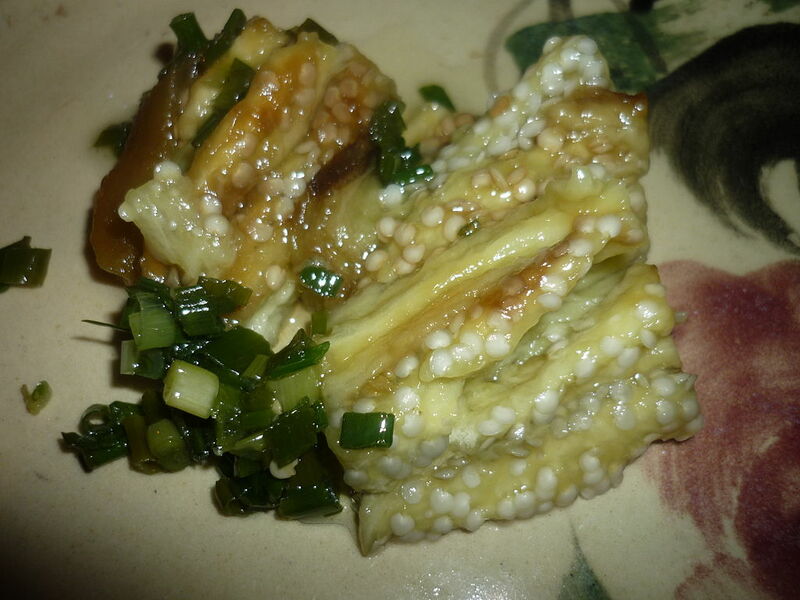 Most of the flavors are derived from fresh vegetables and herbs and the sauces are generally light and tangy rather than heavy and creamy and full of carbohydrates and fat. Noodles and rice are the foundation for most meals and while these are processed food, this is offset by the nutritional benefits of other ingredients. Soups, fresh wraps, and the many fish and seafood dishes are healthy choices. The meat and chicken are generally stir-fried which helps to retain their nutritional value while minimizing fat and calories. 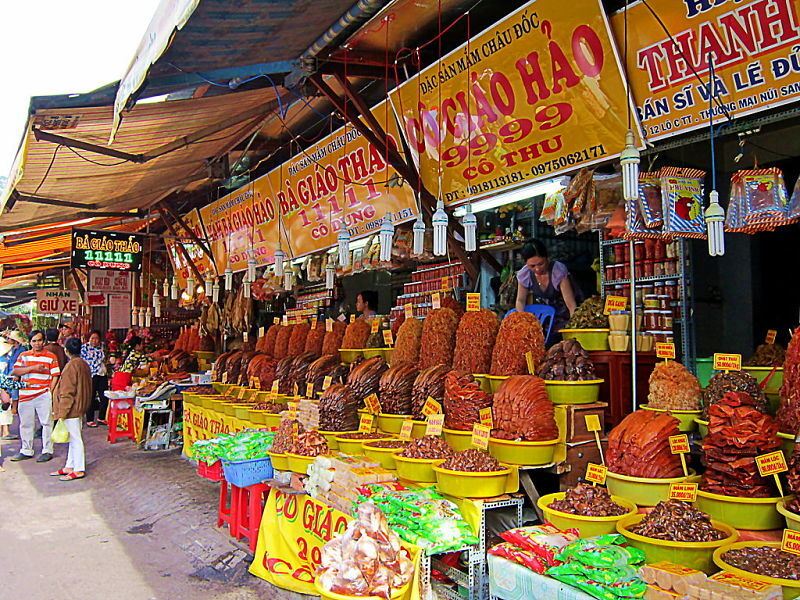 The traditional Vietnamese ingredients are healthy, with lots of variety. These ingredients include: Lime, Anise, Palm Sugar, various in-season Asian vegetables, nuts, bean shoots, Lemon, Spring Onions, Shallots, Rice Paper, Rice, Radish, Noodles, Mint, Lettuce, Lemon grass, Leafy Vegetables, Ginger, Garlic, Fish sauce, Coriander, Chives, Chili, Carrot, Bean sprout and Basil. All of these ingredients contain vitamins, minerals and are healthy choices. The Vietnamese traditionally eat noodle dishes at any time of day and noodles are a staple meal. 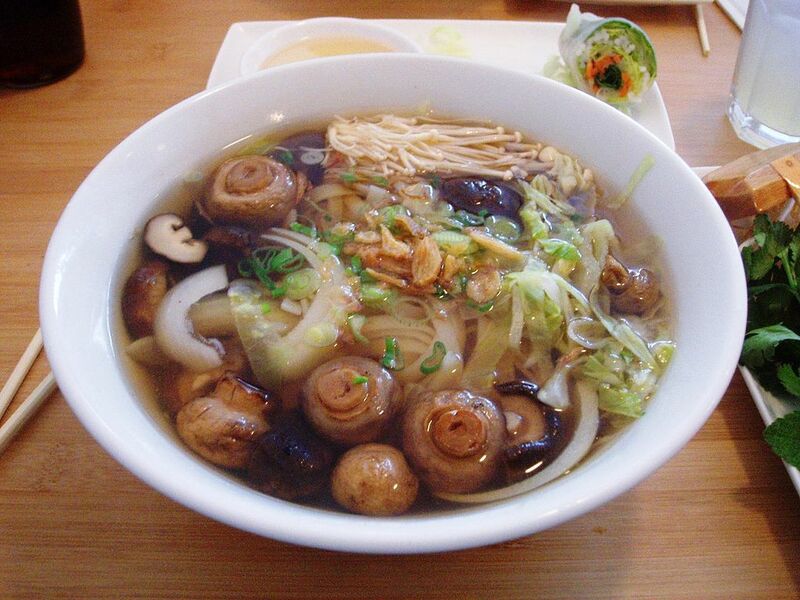 The traditional noodles are made from rice, wheat or mung beans, and include a variety of shapes and sizes. 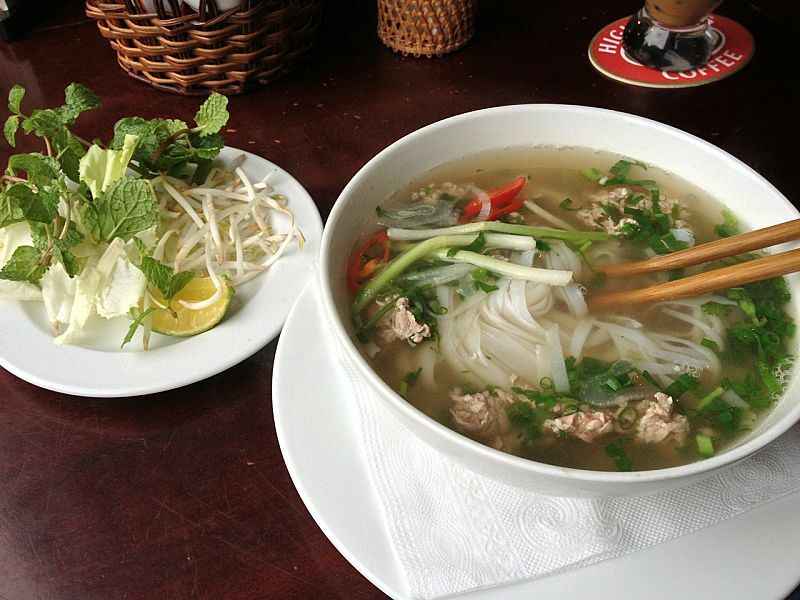 The tradition soups referred to as 'Pho' are very popular and are a good low-calorie choice. These soups contain rice noodles, various vegetables like bean sprouts, onions and tomatoes and either chicken or beef stock. While most of the noodles are prepared from processed flours and white rice the other ingredients are whole foods. Boiled rice is popular staple that is served as an accompaniment to lunch and dinner dishes. Rice is also an ingredient for noodles and rice paper. While unprocessed brown rice and wild rice would be a better whole food alternative the rice used contains some vitamins and minerals, which are boosted by the goodness in the other ingredients. Vietnamese salads are generally very healthy and are a good healthy choice. The include healthy vegetables, nuts and fruits and are often seasoned with various spices and vinegar rather than oil-based dressings. Many salads include papaya, turnips, cabbage and nuts such as peanuts and are a very healthy choice. 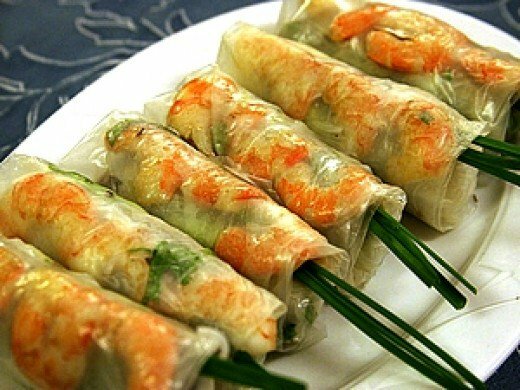 Vietnamese foods specialise in a lovely variety of fish and seafood dishes that are a specialty. You can also find squid, fish, crab, shrimp, mussels added to many dishes such as noodle, soups, rice dishes, curries and many lovely rice paper wraps. Fish and seafood is often steamed simmered and sauteed and lightly fried without batters or coatings which helps keep the fat content low. Like many home and restaurant meals you need to watch your portion sizes and make healthy choices for low fat and low calorie meals. Choose dishes wrapped in lettuce or rice crepes, rather than those wrapped in wheat pancakes. Satays (grilled meat and chicken on a stick) with dipping sauces (the coconut milk and peanut are laden with fat and calories. 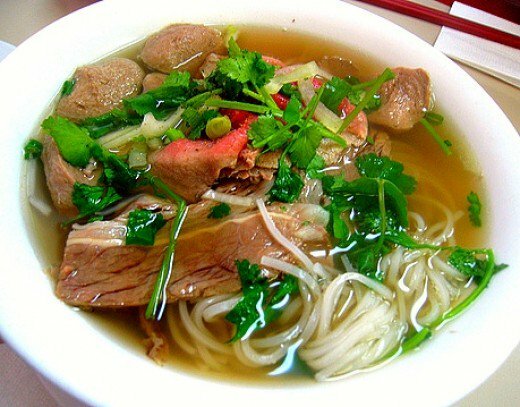 Bowls of Pho soup only contain about 650 calories even for a large main meal serving.